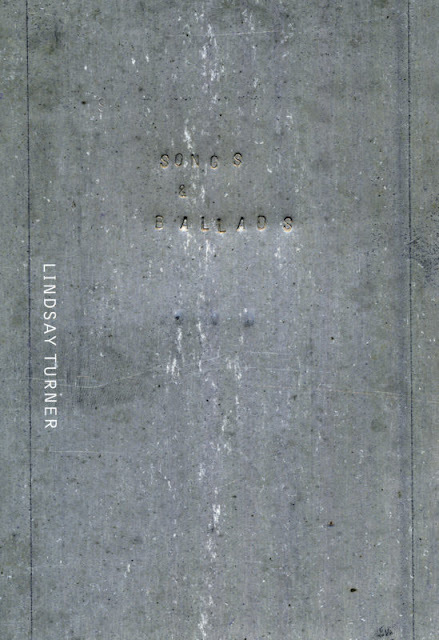 Greenville, South Carolina poet and translator Lindsay Turner’s full-length poetry debut is the collection Songs & Ballads (Brooklyn NY: The Prelude Press LLC, 2018). Songs & Ballads weaves together lovely elements of prose and lyric, writing the lake and the woods, composing songs that work against the distance between humanity and nature. Turner mourns the erosion of what she praises, and her songs lament and praise in turns seductive, sensual and jarring. As she writes in the poem “SONG OF THE TOWNS”: “Water water everywhere // But thinking does not make it so // The grave officials say, / shore up the bottom line.” The idea of the “song” holding a series of truths, histories and commentaries is, obviously, one of the oldest methods of record-keeping and composition, and Turner writes her own Songs & Ballads with that in mind, combined with a deeply engaged ecopoetic. As she asks: how does the heart continue, when the earth can no longer sustain itself, let alone the body?